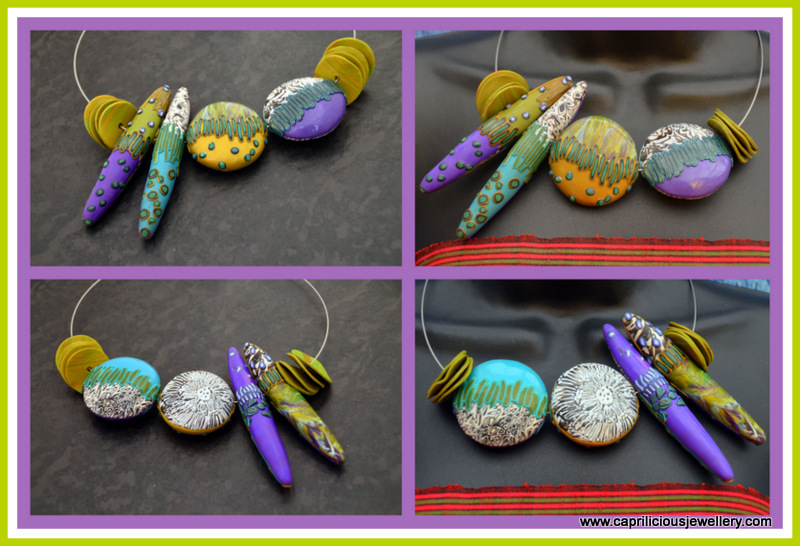 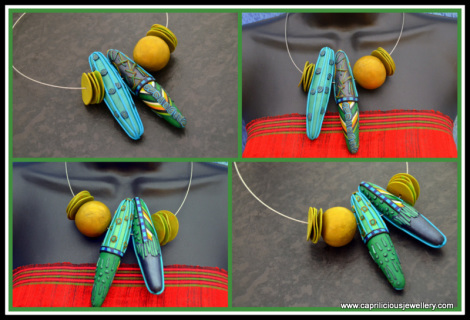 I am delighted to present some of my more recent creations - contemporary jewellery that thinks outside the box - I have used polymer clay with precious metal clay, strung it with wire, added gemstones and sprinkled with magic dust. 21" long necklace, a central faux amber doughnut pendant, flanked by silver-tone turban beads, turquoise nuggets and red agate. 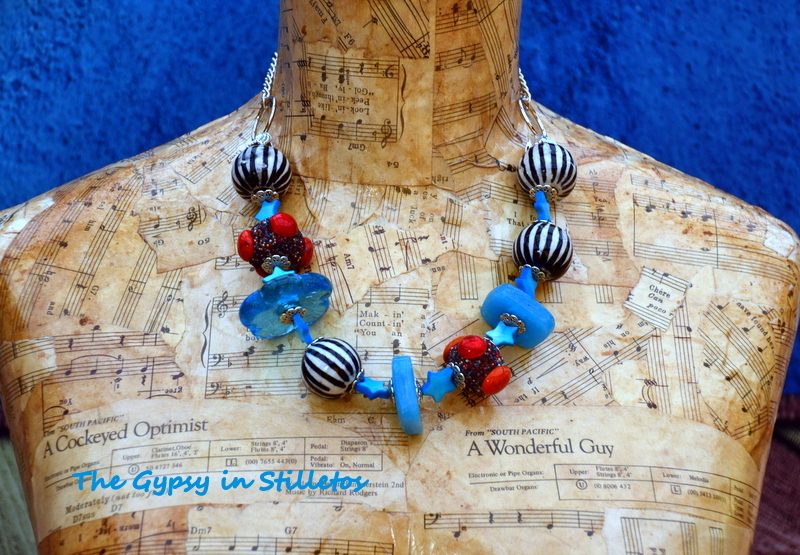 Interesting elements, interesting necklace, interesting woman! 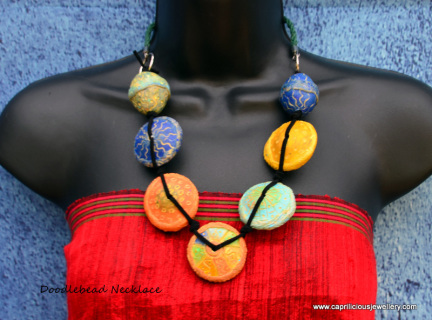 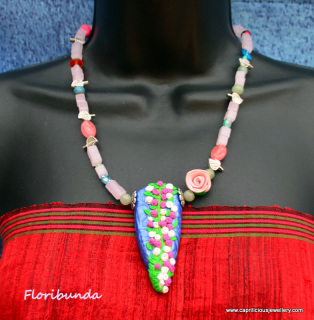 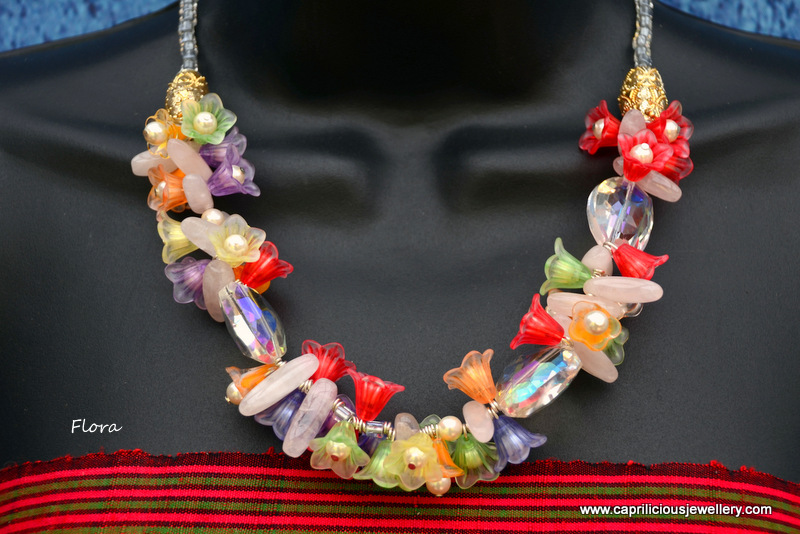 A 21" long necklace with hollow large texturised polymer clay beads, knotted on ultrasuede ribbon and a kumihimo braid at the back of the necklace with a lobster clasp. 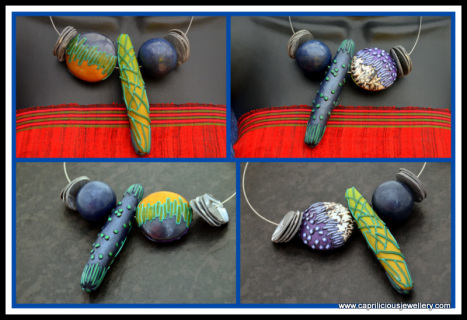 There's something satisfying about making the beads for a necklace yourself - I made these a while ago and finally figured out how I wanted them strung. 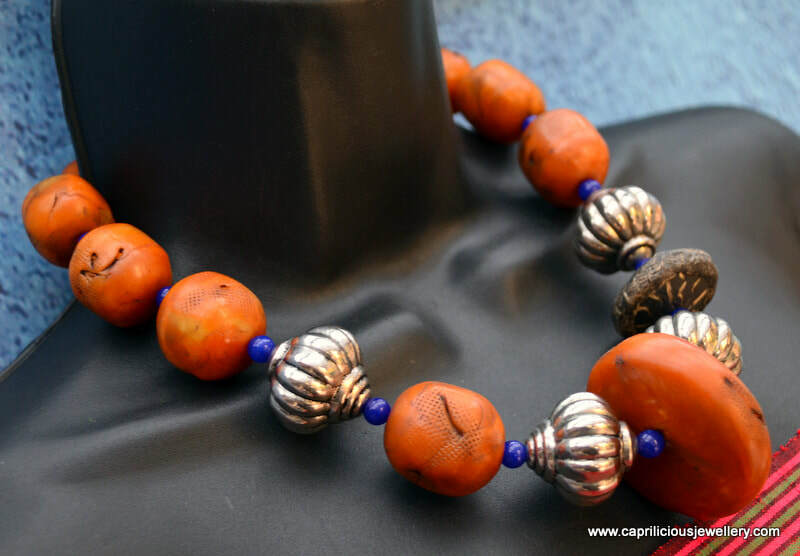 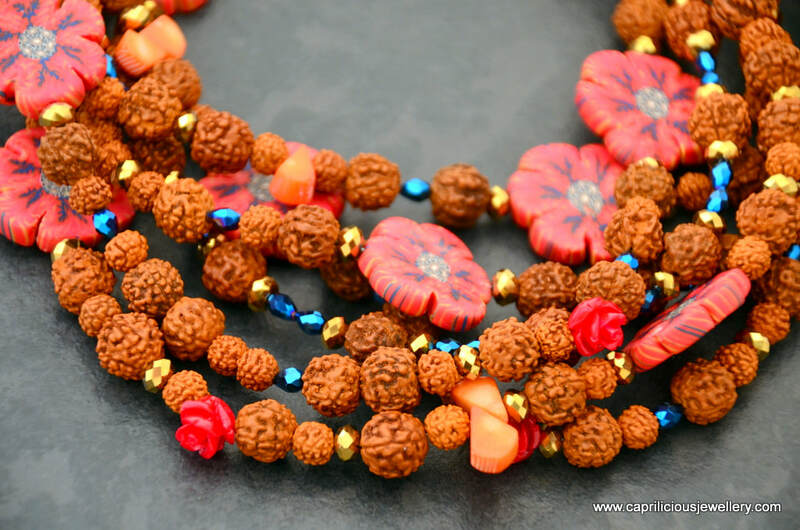 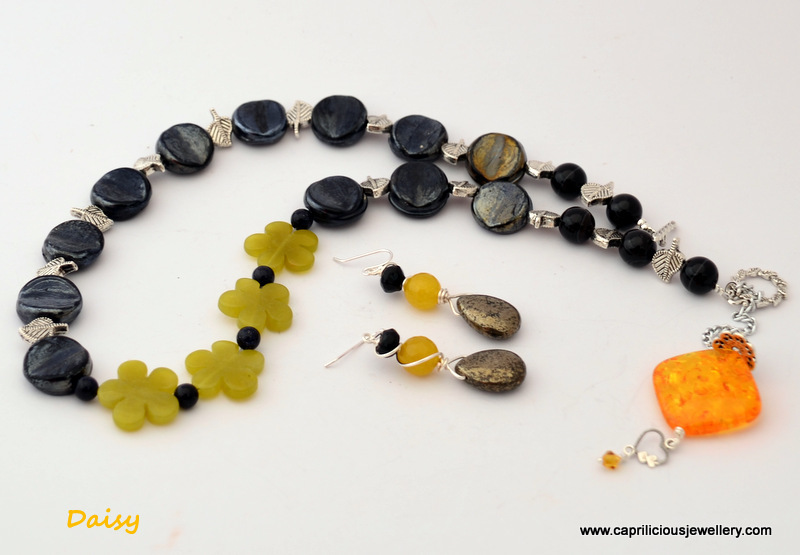 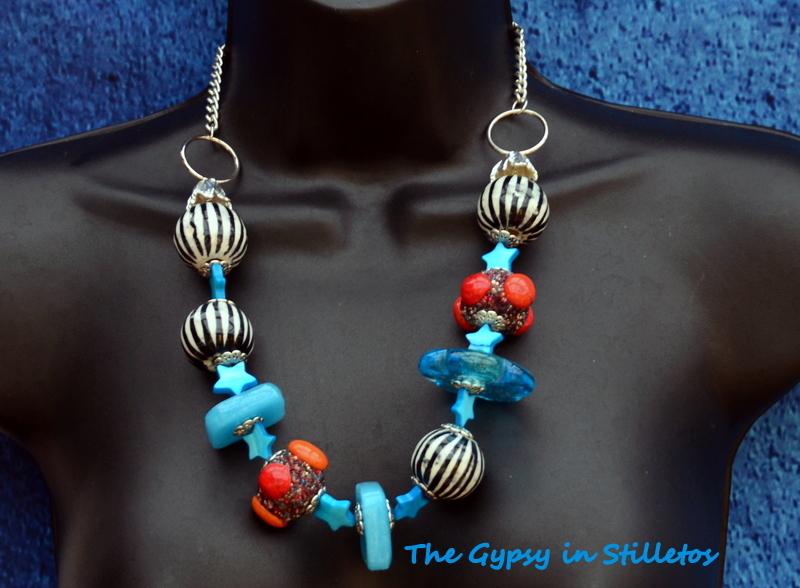 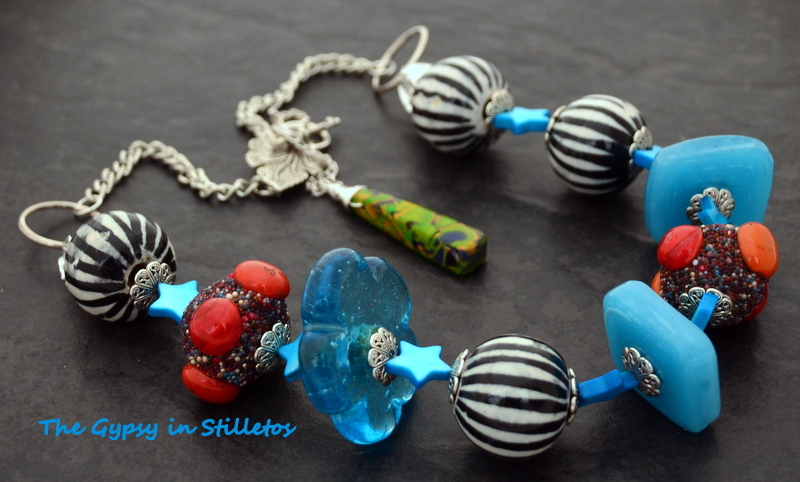 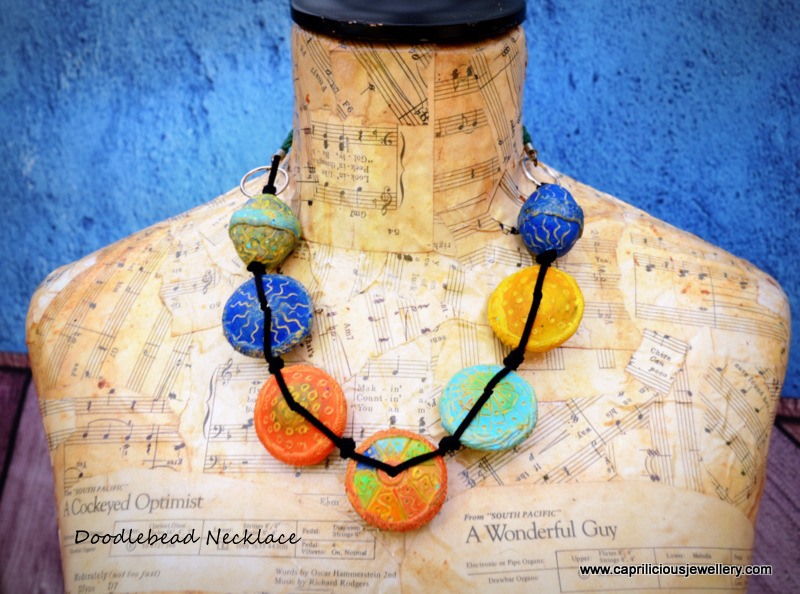 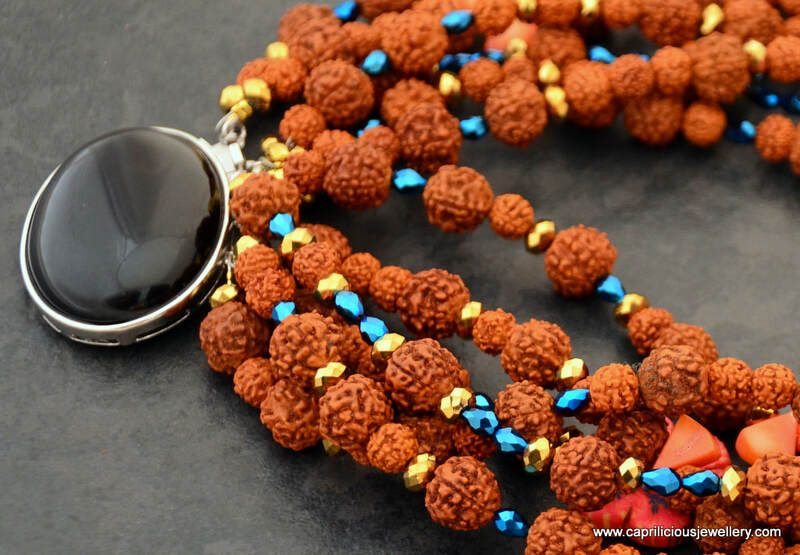 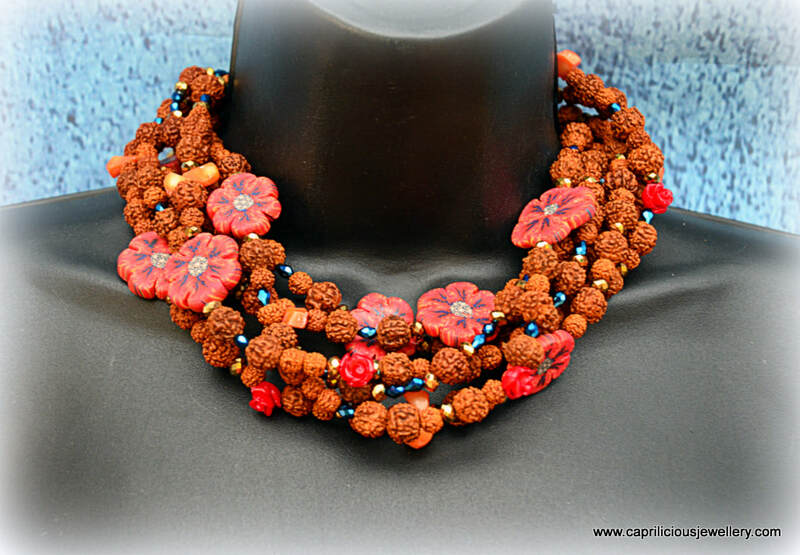 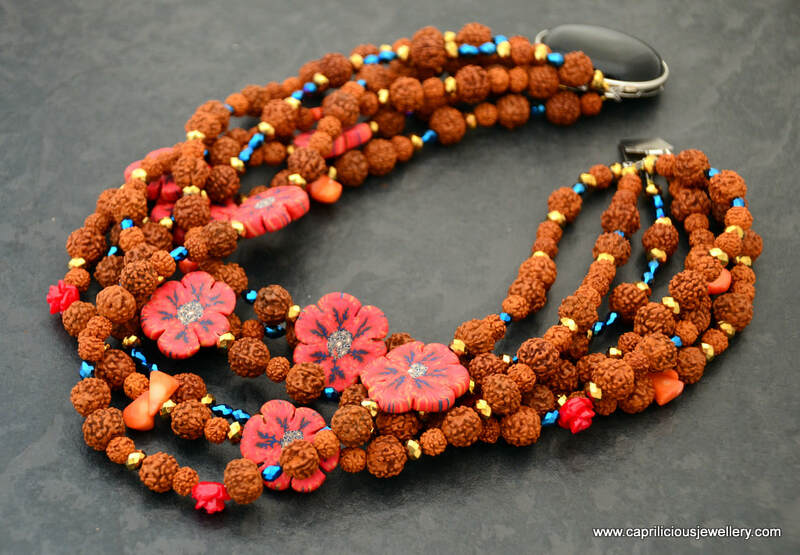 21" long, black and white ceramic beads, blue square glass beads, blue glass flowers, & orange sputnik Kashmiri beads interspersed by star shaped mother of pearl beads, dance merrily around together. 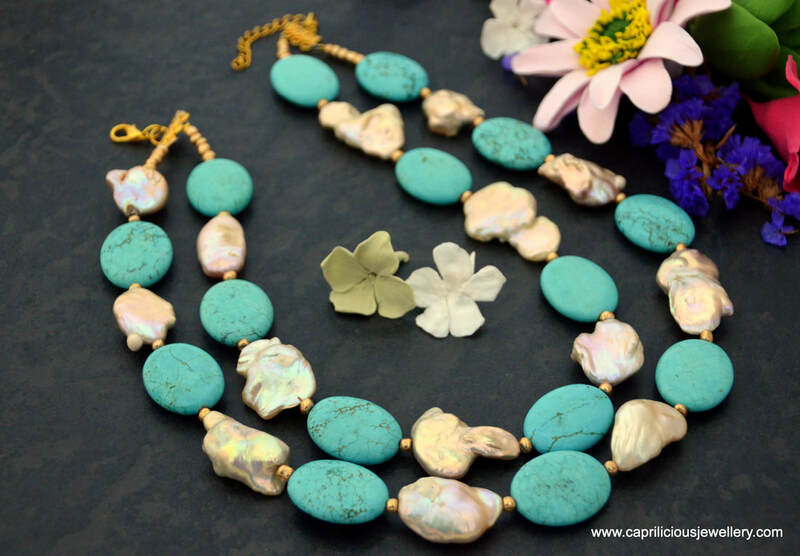 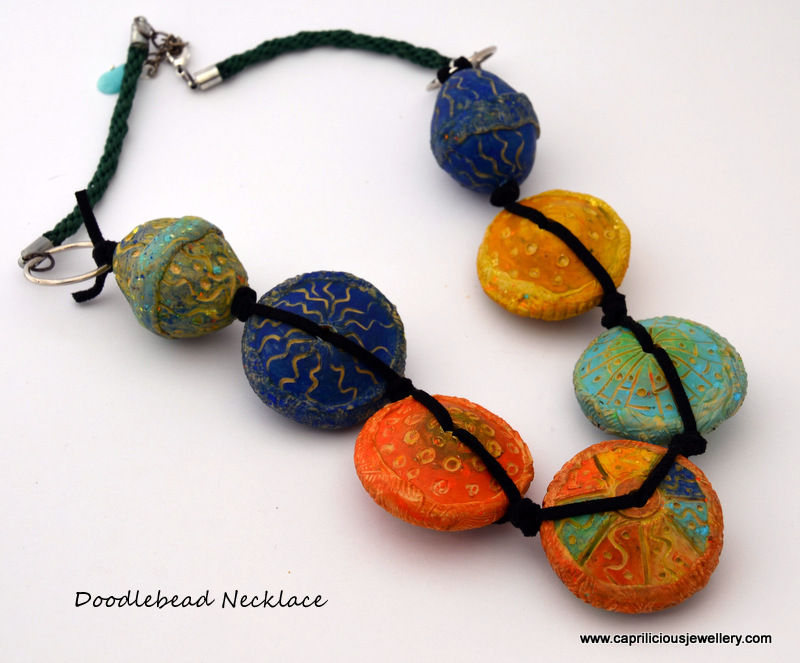 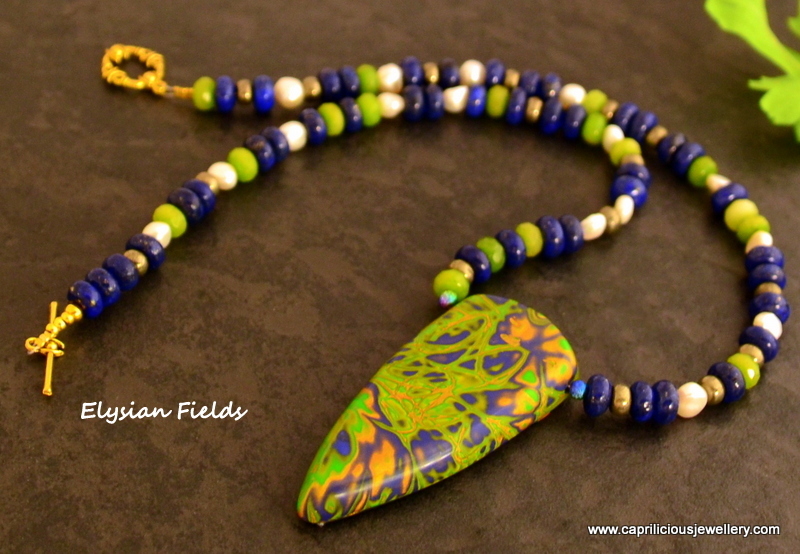 The necklace is finished by a vine leaf toggle clasp with a polymer clay bead dangling from the end. 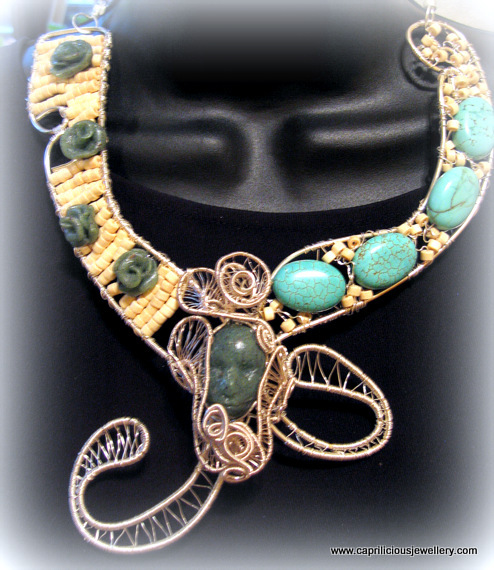 Wire wrapped polymer clay cabochon in a faux granite finish, wrapped onto a wire woven frame with roses to match and turquoise ovals and little cream coloured wooden beads, simple hook closure with an adjustable extension handmade chain, 12" long from the clasp to the tip of the focal piece will fit an 18" neck easily, with the extension chain for a comfortable fit at various levels to suit the neckline of clothing. 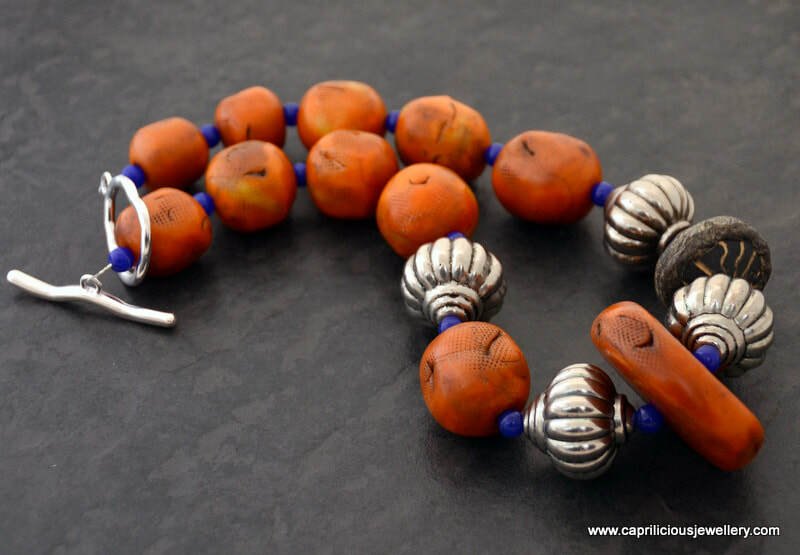 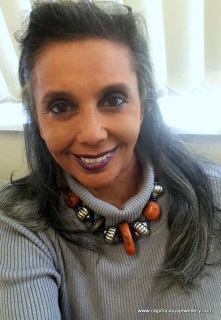 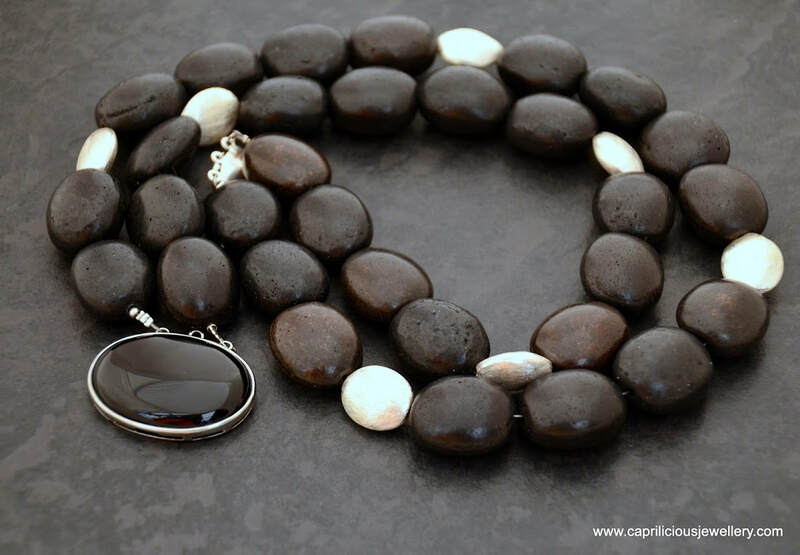 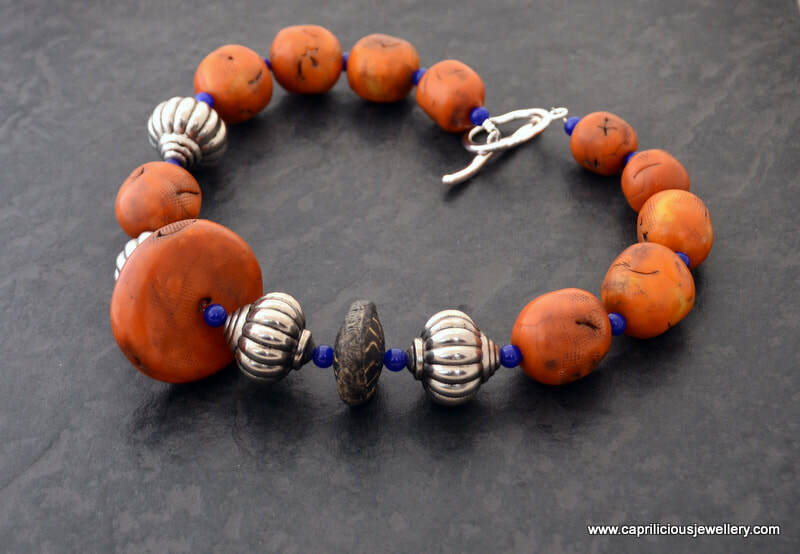 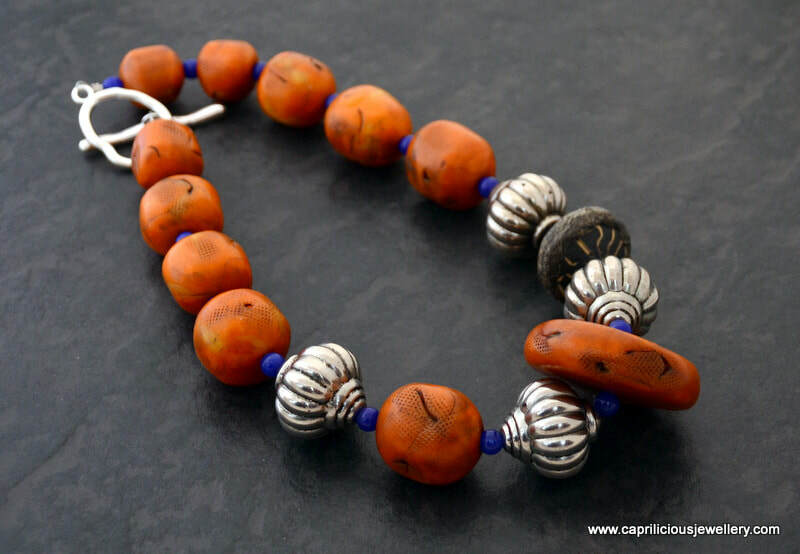 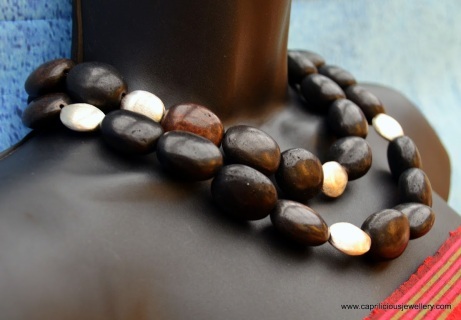 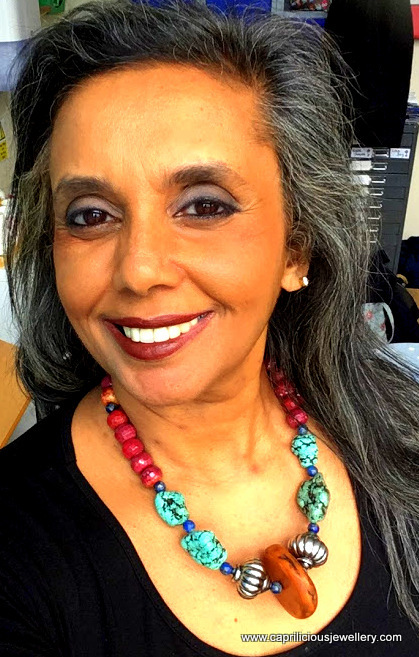 I found the beads in a shop in India on my travels - they are pottery/ceramic and I've put them together to drape around the neck like a scarf - a pleasingly hefty scarf, with brushed silver tone beads as accents, and a polished black agate-set box clasp. 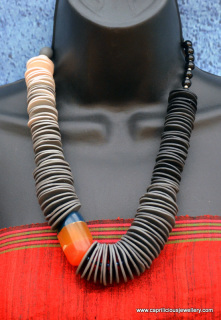 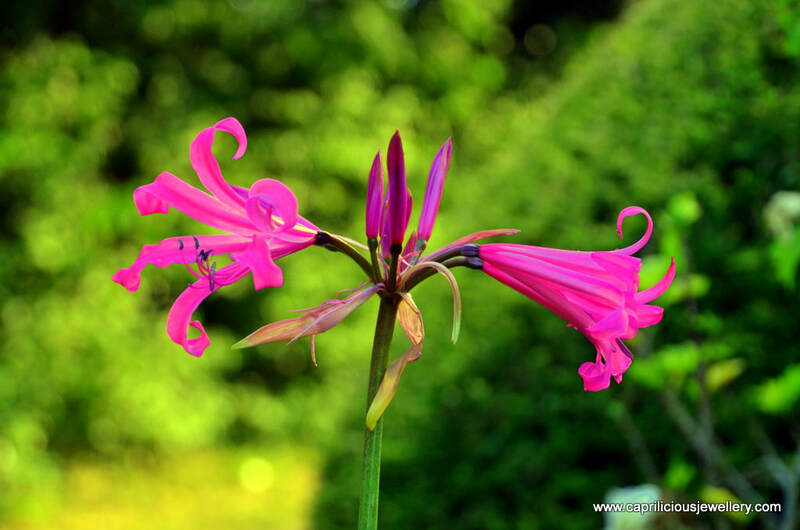 The strands are between 18-20 " long, and sit close to the neck. 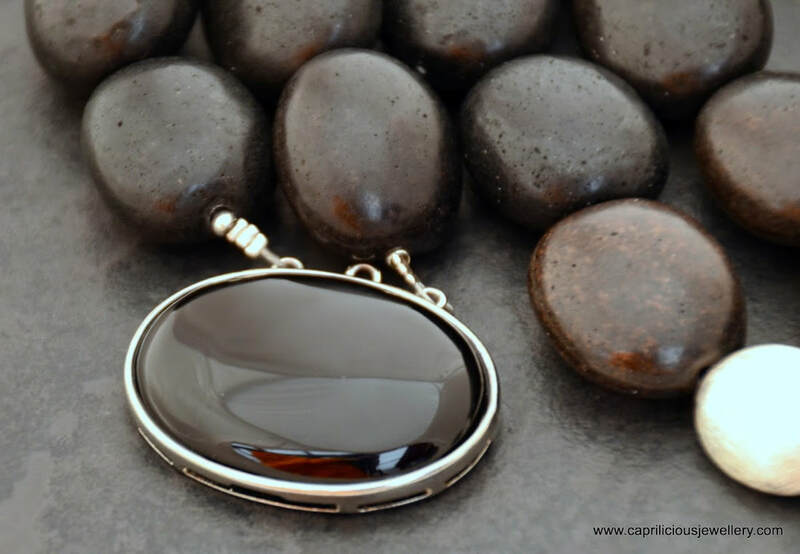 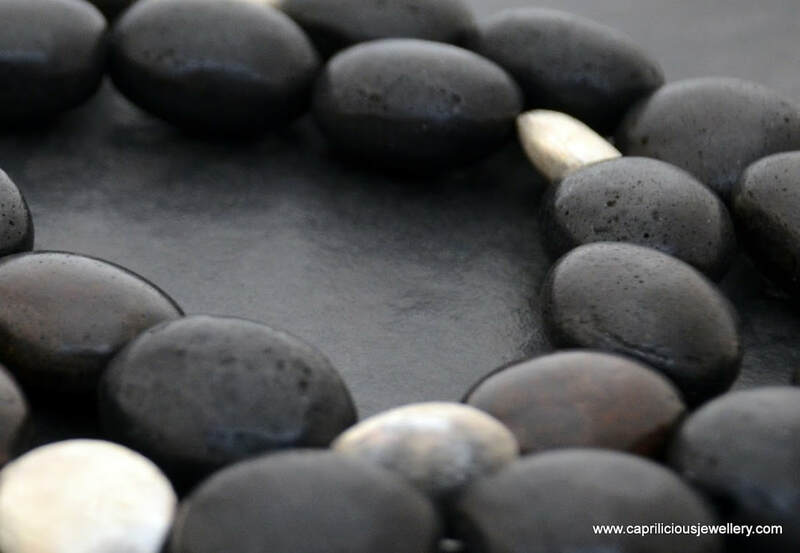 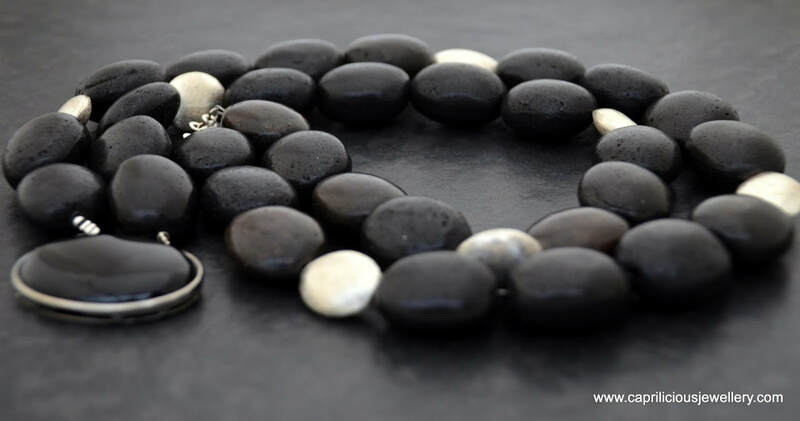 Black and silver are a classic combination and you will reach for this necklace time and again, sleek and sophisticated, you will love it.